Manila, Philippines - It's double eviction on the first eviction night of the much talked-about reality show of ABS-CBN, the Pinoy Big Brother (PBB) All In on Saturday, May 17, 2014. 'PBB All In' will reveal the new celebrity housemate that is expected to enter Big Brother House on Sunday, May 18. On Friday night, the official Twitter account of PBB tweeted: "Sa unang Eviction Night, mag handa para sa DOUBLE EVICTION!. Ang FIRST EVICTION at FORCED EVICTION!!!" The first evictee of 'PBB All In' will come from the nominated housemates either Chevin Klein Cecilio, Maris Racal or Loisa Andalio while the Forced Evictee was identified as he/she violated major rules of Big Brother. Big Brother is known as more than a television show but it relies on a tightly- structured format and some simple principles. Some of the rules are a housemate cannot connive or influence other Housemates to nominate or vote for a certain housemate and any grave violation will also mean eviction or automatic nomination for the housemate. Online conversations for the first eviction already dominate social media as netizens guessed housemates Cess, Aina or Axel are possible for Forced Eviction. Meanwhile, the identity of the new celebrity housemate will be revealed tonight. Netizens expect that the new celebrity housemate is the Brazilian-Japanese model and actor Daniel Matsunaga. The results of the third weekly task of which their weekly budget is at stake will be announced also. The housemates were tasked to create a three-part webisode drama which will then be uploaded online. The online drama webisodes should have gain at least one million views in order for the task to be considered a success. Watch: Pinoy Big Brother All In presents 'Hmm Pak True Lab' 3-part series written by Fifth and directed by Jacob. Unknown to all other housemates, Big Brother instructed Maris, Chevin, and Loisa to will help the mothers of Manolo, Joshua, and Vickie in accomplishing their special secret tasks. If they fail in the task, the whole weekly task will be considered a failure. Find out who will be Big Brother's first evictees tonight. 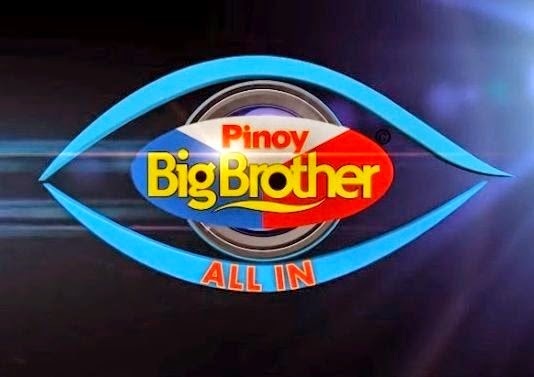 Catch Pinoy Big Brother All In at 9:50 p.m. (PST) every Mondays to Fridays; 9:15 p.m. (PST) every Saturdays; and 8:45 p.m. (PST) every Sundays.